Chevy’s 2015-2016 pickup truck lineup is beyond anything we’ve ever seen before. With revolutionary specs, a super-sleek design, and even more impressive features, Chevy’s pickup trucks are taking the market by storm! Even when compared to their top rivals Ford and Dodge, Chevy’s Silverado has outdone them all! 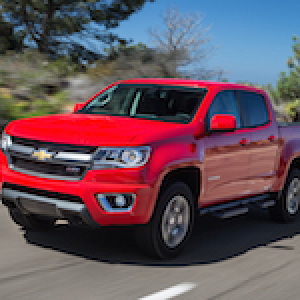 Also, let’s not forget the Chevy Colorado, Motor Trends truck of the year for 2015 and 2016. Want to know why Chevy is the leader in trucks? Discover all the most impressive perks of this year’s top models, and everything else you ought to ask your local dealership when shopping for a Chevy pickup truck.